As we shift into the digital film universe, it seems that film restoration and its associated processes are shifting just as quickly. While photochemical restoration itself is decreasing, it has not entirely disappeared. It has become a hybrid technique, working with a variety of digital methods for the final outcome. But this will not last. The world of the photochemical is slowly getting phased out and this hybridization will eventually be massaged into an entirely digital course of treatment. Even if last year’s battle cry was “nitrate won’t wait,” it has become a solemn “35 is no longer alive.” However, one thing has become awkwardly clear as we exist in this purgatory-like state, waiting to let the chips fall as they may: without the proper background of photochemical training and the meticulous and critical intervention of skilled human professionals, digital restoration itself will not live up to its full potential and will be entirely unsuccessful. I would argue that the very structure and make-up of the digital restoration process has been generated by the transition from, dedication to, and integration of its photochemical roots. In the following pages, I will explore the ways in which human beings with solid backgrounds in photochemical restoration have made a difference in this high-tech world. I will also show how these same individuals and companies have managed to create a new role within the archiving and preservation/restoration worlds: they serve as liaisons between complex machinations and chemical mystery. Whether they are designing mathematical algorithms to resolve fractured frames at MTI, running scan tests to examine remnant color information on a print that has suffered considerable dye loss like at Disney or simply using customized software to assist in developing missing pieces of a sequence like at Technicolor, these people have all managed to become living, breathing conduits of information between the worlds of science and technology. They are the bridge that maintains an even keel between film handling and computing. While the worlds of digital and photochemical may seem light years apart, they are not all that different. In fact, they are quite neighborly. Their connective tissue is us: the users, the humans, and the operators. As the people who work within the internal “guts” of each of these worlds, we are the ones who best know how to make them fly. Without us, they are inoperable. Digital or analogue, film elements need human beings to preserve them, restore them, construct them, make them go. And so we do. In this investigation into what it means to digitally restore a film, I met and/or spoke with several professionals in the field. I was in contact with Grover Crisp, the Senior Vice President of Asset Management, Film Restoration & Digital Mastering at Sony Pictures, I spoke with Andrea Kalas, the Vice President of Archives at Paramount Pictures over the phone, and I met personally with Jayson Wall (Manager, Library Mastering at The Walt Disney Company), Tom Burton (Director of Restoration Services at Technicolor Creative Services, Hollywood), and Larry Chernoff (CEO at MTI Films). Each of these people has a long and extensive background in the visual media field, and has left an indelible mark on the digital restorations that they have worked on. Although their current focus is within the digital realm, it hasn’t always been. Every conversation and all of my research revealed that each person I spoke with who currently produces digitally restored content began in the world of the photochemical and has been there for most of their career. When the landscape began to change, they moved forward with it, anticipating new technologies and setting themselves ahead of the curve. However, it was these experiences and the learned procedures and practices that assisted them in being able to stay the course and build a healthy, dynamic and demanding atmosphere for the current work being done. Due to knowing what the tools had been, they knew what they needed to be and what they could be. Additionally, being highly educated on the many idiosyncratic ins-and-outs of photochemical materials and their design gave them a specialized knowledge going into the digital realm that those without much film-handling experience may not have had. The film archiving and preservation community contains a wide variety of professionals with divergent opinions on a multiplicity of topics. When it comes to film restoration, however, there is an almost universal agreement on two issues: first, there is no steadfast “rule” that applies to every restoration: each project requires different tools, “fixes” and methods. Like snowflakes or human fingerprints, no two restorations are the same. The second point of confluence is that the end goal of moving image restoration is to produce a piece that is as close to what would have been seen originally as possible. But that is where the problem lies: what is “original”? Julia Wallmüller writes, “Paolo Cherchi Usai…insists that the original state is a hypothetical condition, since the restorer cannot know exactly what an original looked like.” (Wallmuller 2007) In a sense, Usai’s statement is correct. Unless we are dealing with recent visual materials and their restoration, we do not (and can not) know what the original moving image looked like, especially upon projection. We can have an idea and a sense, but we were not in that theater, nor were we in the lab where it was produced. We have received these original materials at a very different space in their timeline and our own. This fact does not mean that we are not responsible for their well-being, however. If we have access to adequate resources to assist us in making our best effort at reconstructing the piece into what we feel it would have been like, we have a certain obligation as part of the preservation community to do our best to return it to what we feel it would have been or as close to it. As Andrew Oren of Fotokem remarked during the question and answer period of the March, 2013 meeting of the Society of Motion Picture and Television Engineers (SMPTE), “It’s the well-kept secret of our business. [The moving image restoration community] does all the research we can do, but then we just take our best guess.” (Oran 2013) While the wording of this may seem casual, Oren’s intent was far from it. Due to the fact that we will never be able to know the exact nature, we do highly educated estimations. And now that digital has come into the picture, it is entirely possible that the look of the materials and what is being shown is unlike anything that has ever been seen due to the mathematic and technical precision of the tools. Whether or not this results in what others might derogatively refer to as the creation of “new” materials due to digital technology, by taking on this career there is a commitment to seeing these cultural materials move forward into the future as best we can. The question then lies before us: if the image we are seeing is not the same as what was originally screened, is this what the film’s author intended? If the digital restoration process is giving us a new collection of moving image products under the same names, are they, in fact, restorations since they are shifting from one state (analog) to the other (digital)? While many would grumble and argue and say, “Of course! The resolution is higher! The image is clearer! It is clean and beautiful now! It looks better!” I do not think that the argument can be or should be solved by being placed on a better/worse than continuum. Qualitative terms delve into subjectivity even amidst the most highly skilled technicians. What we should be doing is gauging this discourse using an entirely new lexicon. Digitally restored moving images will never look like photochemical work because they are not photochemical work. I believe that once we have established this we can move forward and be able to appreciate each area for its own worth and on its own terms. Through the use of new scanning equipment and a variety of automated software programs our moving images are slowly being restored to a state considered to be as close to the “original” as possible. We have tools that help to reduce film grain and conceal scratches on the image by looking at frames before and after and estimating pixel placement without adding any new data in addition to software with modules for grain modification, dust/dirt cleanup and scratch assistance which is also attuned to flicker correction, chemical stain removal and other “blemish” work. The next scanners we discussed were the Northlight and Northlight 2. According to Jayson Wall, Disney used the Northlight when they worked on 20,000 Leagues Under the Sea because, as he said, “It’s a great scanner. The clarity. The sharpness which you get out of the scans compared to other scans, to a Spirit, or to a Scanity.” Although he said that other scanners today might give different (or better) results, he said that the Northlight definitely provided Disney with what they were looking for with 20,000. (Wall 2013) Andrea Kalas at Paramount, upon being asked about her preferred scanners at Paramount also listed the Northlights (Kalas 2013). While her reasoning ran along the same lines as Jayson Wall’s, after discussing the technological capabilities of the machines, there was certainly more than simply the clarity of the product that lent value to the Northlights as a restoration tool. As these machines have been updated, they have progressed in information extraction and accelerated, both highly valuable assets in this industry. What Burton had to say about the Northlight and its updated sister scanner, the Northlight 2, was quite fascinating. While both scanners have many of the same qualities, Northlight 2 is simply faster. About six times faster, according to the literature. While they are both pin-registered and able to support 16mm, Super16mm, 35mm or 65mm film, the Northlight 2 has the distinct advantage of a heightened design for the digital scanning work that is currently being done. As they say, time is money and now moreso than ever. Not only does the Northlight 2 have a scanning speed registering a 4K scan of 35mm film at 0.8 seconds/frame compared to the Northlight 1 which came in at 4.7 seconds/frame, but the Northlight 2’s initial scan resolution is markedly higher, listed as 8K according to its vendors. (Filmlight, Ltd 2013) While that was impressive, that was not what really was mind-blowing. 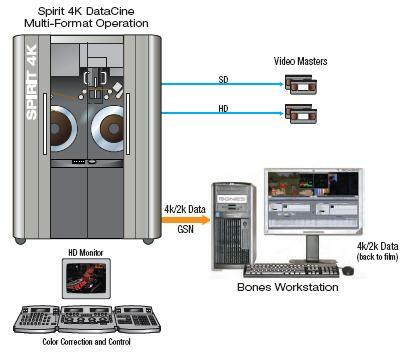 What Burton explained about this CCD machine that set it apart from the Spirit was its infrared scanning capabilities. The Northlight will take the film and instead of simply scanning the image for the normal RGB (red, green, blue) colorspace, it will do an additional pass with an infrared scan. This separate infrared channel will pick up only the items that, as Tom notes, might be “a physical defect either on the surface of the film or dug into the film. So anything that violates the horizontal plane of the film, that infrared channel sees that defect and it creates a map of that.” (Burton 2013) According to Tom, while there are various kinds of infrared channels, the one on Technicolor’s Northlight 2 has 1-bit-depth of information: black or white. Whatever the infrared pass “sees” as surface flaws becomes translated into clear or white dots and/or lines on a black surface, mapping out the issues. This information (or metadata, if you will) will then get brought into an image restoration program that will look at the file and automatically repair what has been marked. Through what is commonly referred to as temporal analysis, these programs use visual data contained in the frames before and after the damaged pieces to “read” and “repair.” If these other frames do not have the “flaws” that the IR channel had picked up, then the software automatically assumes that the marked/mapped sections are, in fact, errors and will automatically grab similar data from previous or subsequent frames and place it in the defective area. But, as mentioned earlier, this is where it gets tricky. What if the infrared has marked something that is not a defect? What Tom is describing is the birth of the digital artifact, the enemy of digital restoration engineers far and wide. It is one of the primary examples why humans are still incredibly relevant to the field. There is simply no way that automatic engineering can “fix” all the damage or smooth out all the ruffles of a print with problems. Machines and software are great, but human care is still a necessity. When asked about the use of the Imagica scanners, Grover wrote me via email that “since this is a large format film (65mm) there are only a few scanners that can actually handle that size and format.” He also mentioned that there are only two locations in Los Angeles that work with materials fitting this size/format description so he decided to select the one which whom they had the best relationship with and the one that dealt with actual filmic elements, Fotokem. In regards to these same scanners, Andrew Oran of Fotokem has stated in the past that, “Digitizing 65mm classics at FotoKem occurs on one of our two matched Imagica XE 65mm scanners, nicknamed ‘Big Foot’ and ‘Yeti’ due to their sizable footprint. Armed with 11K sensors, they are the world’s only film scanners able to sample 65mm negative at 8K resolution ‘perf to perf’…While the sampling of the negative element occurs at 8K (wide) resolution, digital mastering – which moves us from preservation into the realm of restoration – occurs at either 4K, 2K or HD resolution.” (International 70mm Publishers, Netherlands 2010) Imagica XE scanners are CCD and pin-registered, and equipped to handle a wide variety of film formats. The original scan of Lawrence was done at 8K because, according to Grover, that was “the equivalent resolution of the 65mm negative.” (Crisp 2012) However, it is impossible to work in 8K due to bandwidth so the 8K scan was brought down to 4K. As Lawrence and the MTI experience demonstrate, the depth that a higher resolution scan can get to with restoration is measurable. Had this film been scanned at 4K and brought down to 2K or been scanned at 2K, the film’s injuries would not have been as noticeable. Would that have affected the way the average viewer saw the film? Perhaps not. But for restoration purposes this is essential. As we move forward and we lose actual film as a medium, we want to make absolutely certain that the restorations we are creating are the best we possibly can. This means going as high as possible so that an issue like emulsion that is lifting from the base is visible and can be fixed by a unique algorithm. While Chernoff, who also worked with Sony on their digital restoration of The Bridge on the River Kwai (David Lean, 1957), was on the fence about whether there were any digital techniques from that project that he felt would be able to carry over to more restoration work, he was positive on the Lawrence restoration and expressed that there were significant things that could be taken from the experience and applied to digital restoration on the whole. When these moving image materials are being digitally scanned, it is not just corporeal damage or “defects” that are found to be the problem. Over the years, there are many things that can happen to a film print. Careless film handling and the uneven labwork that has existed over the years has produced everything from the “simple” wear-and-tear of torn perforations and base and emulsion scratches, to chemical stains, dust, dirt or other pieces of the environment in the emulsion/printed into the film. While photochemical restoration found ways to cope with and correct these film injuries (wetgate printing, careful cleaning, replacement of the “defective” sequences and subsequent creation of new elements) there was a limit to what the photochemical world was able to do. Beyond what could be considered primarily human-catalyzed film damage (which includes impairment through use or poor development/element creation), time and chemistry have been some of the most substantial enemies of the moving image. Not only have they made it excessively hard to put films through a scanner due to film shrinkage, but the issue of color fading has been a high-level source of frustration. Joe Lindner, preservation officer at the Academy of Motion Picture Arts and Sciences, has spent a great portion of his career working in photochemical preservation and restoration. While he named many examples of ways in which photochemical restoration and preservation can help a film survive and endure, he admits that one of the most problematic areas for photochemical restoration is color. It is where the tools of the digital environment have really made a difference. When I asked Lindner specifically how one might photochemically restore a film suffering from some kind of dye loss, he told me that while there had been attempts to resolve this in the past through photochemical means, it was an area of great conflict and has been overtaken by digital tools that are better able to handle these issues. (Lindner 2013) Color’s variations, chemistry and inconsistencies lent themselves far better to the algorithms of the high-tech world than what could be done in an analogue fashion. On the other hand, when it comes to preservation, we are still actively using photochemical materials to engage in the conservation and protection of not only our images but their colors as well. While studios used to make YCM masters primarily for insurance purposes (meaning they weren’t always meticulous about checking the materials for integrity or accuracy), the environment has changed and become one where archival ethics and element maintenance is more of a concern. As of March 2013, it is likely that most of the film companies currently producing film stock will only be doing so for a few more years, as we make the transition to digital. But we still have yet to locate a digital preservation standard. This is a valid anxiety. From the standpoint of many people, the only entirely “tried and true” preservation material is film itself. And yet film has shown itself to be faulty as well. It deteriorates, it is a chemically based element, and it is not perfect. But it is a far more reliable standard than what we are being offered by way of any of the digitally based suggestions. Long term moving image preservation is crucial as is the necessity to find an option for retaining proper color registry. However, film itself is facing a time limit and an expiration date. This places more pressure on the digital development world to find an alternative for the tangibility of YCM separation masters and their reliability. 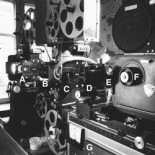 While there is a great deal of suspicion around the various preservation solutions that are “not film,” there are equally as many media professionals using and espousing the glories and wonders of “not film” as a tool for the advancement of film-making, film restoration and the exploration of moving image work. We are making significant inroads into the digital realm for restoration and filmmaking every day. The faster we move forward, the more reliant we become on machines and technology, and the more dangerous it becomes that we have no digital standard for preservation. The push/pull tug-of-war that is happening as film leaves the battlefield will only be resolved with the passage of time and the discovery of one or more devices that do not have the same backwards-incompatibility issues that LTO-tapes have or other problematic features. The positive aspect of the digital landscape is that a variety of companies are working on solutions for this (it would be difficult not to see both economic and cultural returns in the development of such a product, were it successful) and the digital world is many times faster at development than the photochemically based one. The negative aspect? Now that we are so heavily digital, we are producing content that fast as well. It’s a Catch-22 and the outcome is still unclear. As time moves forward, we can only hope that a standard is reached and soon. While Fossati’s point echoes Oran’s SMPTE remarks to a degree, it also reiterates Enticknap’s position in regards to professional training. In this period of technical transition, moving image facilities are in a quandary: there is a deep need for people who are qualified to do the restoration work and conduct the research in the most thorough manner possible. At the same time, there is a significant desire to have expert technicians for all the digital work that must be done. Will the onset of the digital environment affect the workforce? Will positions of preservationists and restoration professionals begin to shift more towards those with high-level backgrounds in computer technology and visual data? It is not impossible. It would, however, be unfortunate. A great example of the way in which these processes and ideas come together can be seen in the live-action restoration work that is being done at Disney. Many studios and archives are producing legitimately amazing digital restorations from heavily compromised materials. What Sony did with MTI in the restorations of both Bridge to the River Kwai and Lawrence of Arabia was nothing short of miraculous while Tom Burton and Technicolor’s assistance in rehabilitating Universal’s Invisible Man made the film not only watchable again but provided the piece with the necessary tech work to have full sequences that were formerly defective or lost. Within this final case study I will show how the work that Jayson Wall is doing at Disney displays the necessity for diligent and thorough research and education on all aspects of a given film for its proper restoration. 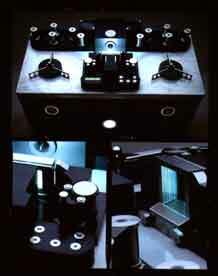 As stated earlier, a film restoration consists of a product that gets as close to the original experience as possible. A good restoration work will construct a careful balance between heavy research, human intervention and digital assistance. From the discussions I have had with their staff and clips that I have seen, Disney is a good template to use to demonstrate this tender equilibrium. After the inspection, the negative is usually cleaned and prepped for scanning. This is the stage in which major decisions begin to be made based upon all of the research that has been done up until this point. Disney’s deliverables, much like their extensive project assessment and restoration, work towards preservation and restoration. Since there is no digital standard for preservation, they provide film outs. On the other hand, they have made the jump to a digital workspace within the company, are taking the transition seriously and have put systems like that involving clipster projects into full operation. As much research and documentation as Jayson mentions using here, this statement manages to return us to a previous point: professional training and the current digital transition. Jayson has access to individuals who are thoroughly trained in the use of the materials that Disney has within their archives. 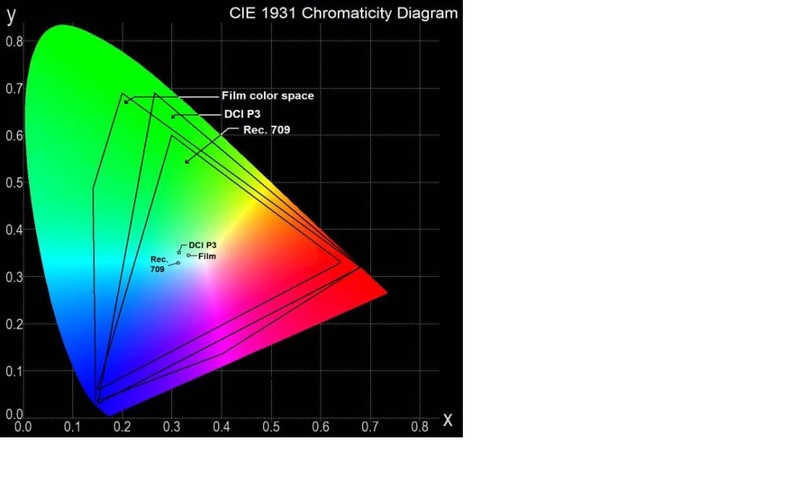 Much like Jayson himself, this “old-school colorist” is like many engineers in the field, and likely has specific knowledge that began in a photochemical environment. It is not alarmist to say that the assembly of analog experts is only going to get smaller with time. While Jayson himself is highly trained in photochemical work, he did not start or specialize in the kind of work that his colorist did. He relies on him for certain things in order to make the final product resemble the initial work as closely as possible. The question then remains: what will we do when we are left without this base of skilled professionals to draw from to assist in this work? What is being done to pass on that all-too-valuable knowledge? New technologies go with the moving image like freezers go with ice cream or wheels go with cars. Their designs not only work with each other but also allow the other to continue on their path to survival. The history of the cinema has had a variety of technological changes, each affecting its audiences and the moving image culture on the whole. What it has yet to do is leave a gaping hole where film once was. Film restoration is a unique process by which individuals attempt to re-engage historical moving image materials within an entirely new set of terms and conditions. While many terms are bandied about – reconstruction, authorship, workflow, automation – the one thing that has not changed over the years is the necessity for human involvement in the process of making history reappear on a screen. Corporations may want to lessen their expenses by increasing electronic involvement over manual labor, but, much like photochemical restoration, there are limits to that. There are only a certain amount of people willing to trust the digital processes currently available, computers make consistent errors in the “automatic” procedures, and the transitory state that we are in requires far more intimacy than we are currently giving it. We may be moving to more highly developed machines than Steenbecks, but the ways in which we are working with the machines and moving the information through needs to be more fleshed out. It’s not just the materials that we need to consider. It is those who created it and have been working with it for years. We are restoring film and documenting that process, but we should also be working to document the restorationists themselves and their valuable knowledge. While a film restoration will never be able to give a viewer the precise experience of what it was like to see Clara Bow in Wings in a theater at the premiere, what it manages to do is give the audience a unique and special experience of materials that may have disappeared forever without proper attention and care. Digital restorations are not the same as the original works. They are not made of organic material like nitrate nor will they have the same inconsistency that the silver halide crystal development process gives film. But these materials have a different identity: these are digital media objects. They are not photochemical and they are not trying to be. They are not there to try to “trick the audience” or pull a fast one. What they are is the end result of the desire to save important cultural product from disappearing forever into the void by accessing current visual technologies and exploiting their capabilities. Through research, scanning, delicate attention and transferring to final product deliverables, a once-suffering film can receive life again. While it may be a different visual in certain respects, the reason the filmmaker created the object was to tell a story and the story will continue to be told for that much longer instead of reaching termination. This, in itself, is a reason to believe in digital restoration. Burton, Tom, interview by Ariel Schudson. Digital Restoration at Technicolor (February 22, 2013). Chernoff, Larry, interview by Ariel Schudson. Digital Restoration at MTI (February 25, 2013). Crisp, Grover. “LAWRENCE OF ARABIA: 4K Digital Restoration Notes .” Notes, 2012. Filmlight, Ltd. “Filmlight Ltd Datasheets.” Filmlight Ltd. 2013. http://www.filmlight.ltd.uk/products/northlight/overview_nl.php (accessed March 8, 2013). Fossati, Giovanna. From Grain to Pixel: The Archival Life of Film in Transition. Amsterdam: Amsterdam University Press, 2009.
International 70mm Publishers, Netherlands. Digital & 65mm: History and Development of 70mm. Arnhem: International 70mm Publishers, 2010. Kalas, Andrea, interview by Ariel Schudson. Digital Restoration at Paramount Studios (February 14, 2013). Lipman, Ross. “The Gray Zone: A Restorationist’s Travel Guide.” The Moving Image (University of Minnesota Press) 9, no. 2 (2009): 1-29. Oran, Andrew, interview by SMPTE. Today’s Use of Black and White and It’s Potential Future (March 7, 2013). Read, Paul and Meyer, Mark-Paul. Restoration of Motion Picture Film. Oxford: Butterworth-Heinemann, 2000. Wall, Jayson, interview by Ariel Schudson. Digital Restoration at Walt Disney Studios (February 15, 2013). Wallmuller, Julia. “Criteria for the Use of Digital Technology in Moving Image Restoration.” The Moving Image (University of Minnesota Press) 7, no. 1 (2007): 78-91. This entry was posted on March 19, 2013 by sinaphile in Access, Technology and tagged 35mm, 4K, 8K, Andrea Kalas, authorial intent, Bridge on the River Kwai, CCD, chemical stain removal, DCP, Digital Intermediate, DRS techniques, dust/dirt cleanup, flicker correction, grain modification, Grover Crisp, Imagica, Jayson Wall, Larry Chernoff, Lawrence of Arabia, linear array, LTO, MTI, Northlight, pin-registered, Preservation, pro-Tek, restoration, restoration algorithms, Scanity, Spirit Datacine, technicolor, Tom Burton, Walt Disney Company, YCM.